Ever wish advertisers would just admit when they've airbrushed their models? Online retailer ModCloth promised to do so when it became the first retailer to sign the "Heroes Pledge for Advertisers." The petition, drafted by The Brave Girls Alliance, sets boundaries on image retouching in ads. In cases where retouching is used, the pledge requires adding "a 'Truth In Advertising' label to these ads to ensure consumers, in particular children and teens, do not confuse an advertising 'ideal' with what's real." ModCloth's participation is a significant step for advocates of the Truth in Advertising Act of 2014, a bipartisan bill that asks the FTC to create guidelines on the use of image-altering techniques, such as Photoshop, on people in advertisements. 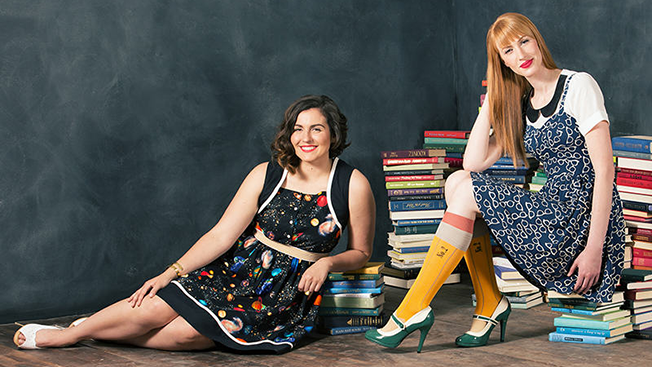 “It is a courageous movement that we were excited to get behind,” ModCloth said in a blog post. "We have agreed to label images of models who have been materially Photoshopped because that's what we all deserve—to know the truth!" By signing the pledge, ModCloth has promised to mark advertisements that include retouched models. They also will not run ads with retouched models in media catering to children under the age of 13. With lingerie maker Aerie’s recent attention-grabbing campaign of unretouched models, brands seem to be catching on to this movement. Which one will be next?